For fabulous perks and exclusive deals, swing by these wedding showcases and events happening in April. For your wedding, it’s natural to want the best of everything. After all, it only happens once in your life, with your nearest and dearest to celebrate the occasion with you. 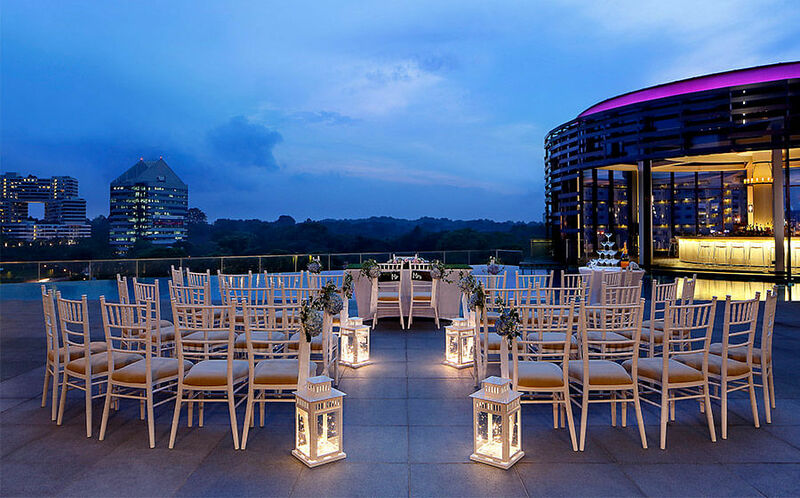 At the luxurious Capella Singapore, you’ll find that wedding celebrations here, amidst lush foliage and unparalleled views of the South China Sea, are nothing short of magical. 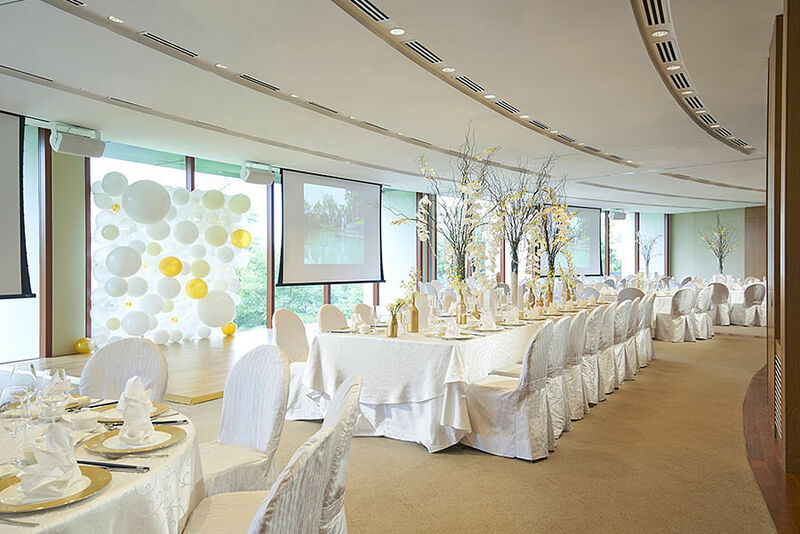 The experience starts with Capella's Poolside Bliss Solemnisation package, where you exchange “I Dos” by the pool, to your banquet, where you begin your new life as husband and wife in Capella Singapore’s circular Grand Ballroom with dramatic ceiling fixtures. The ballroom comes with an adjoining foyer that can accommodate up to 400 guests. 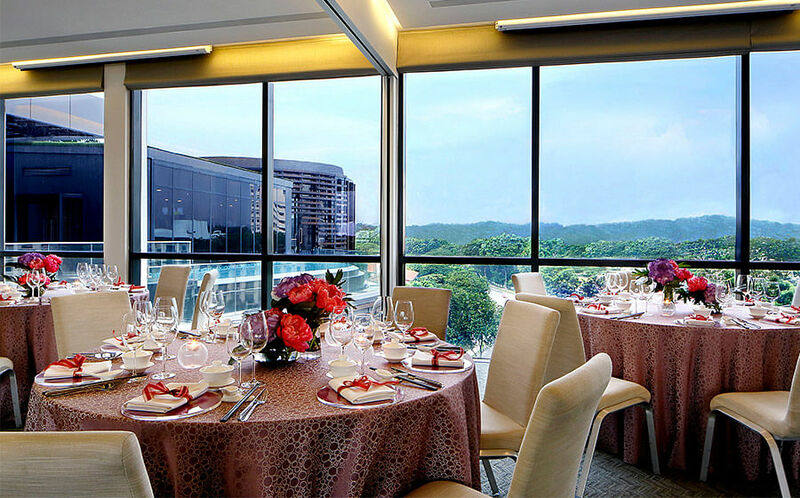 Should you prefer something less formal but just as grand, look to the Sentosa Rooms I, II, and III, which offer brightly lit spaces thanks to their floor-to-ceiling windows. 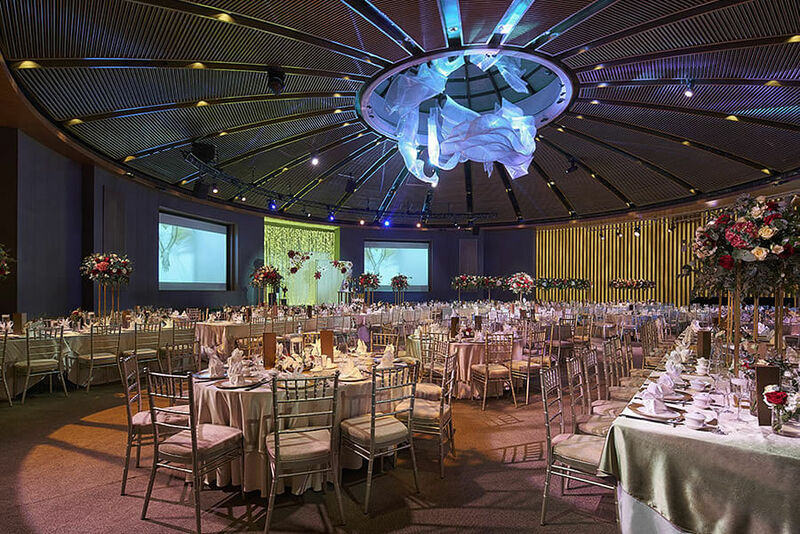 The rooms, when combined, hold up to 180 guests. 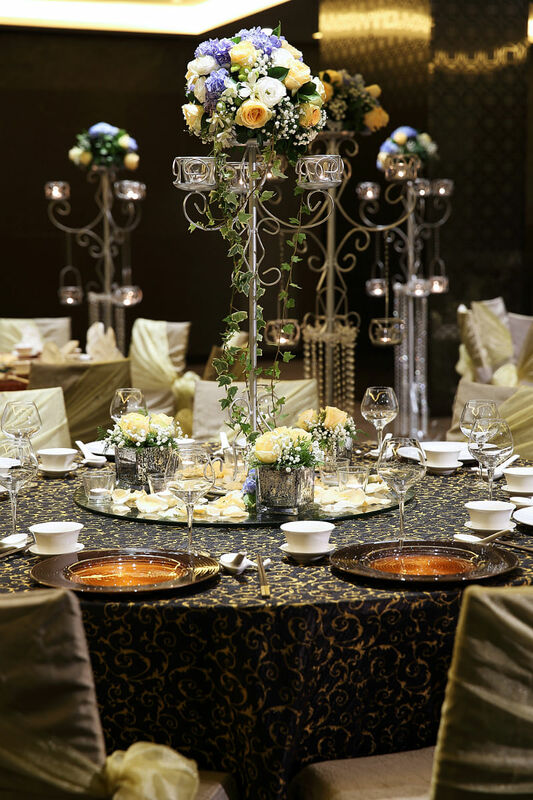 Separately, the rooms are perfect for events like tea ceremonies or after parties. 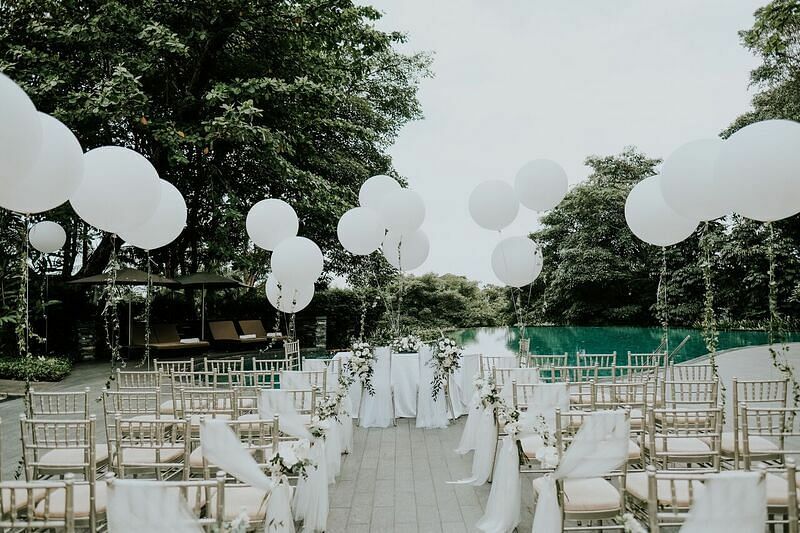 Save the date for Capella Singapore’s Wedding Showcase 2019: A Walk Down Capella Aisle. 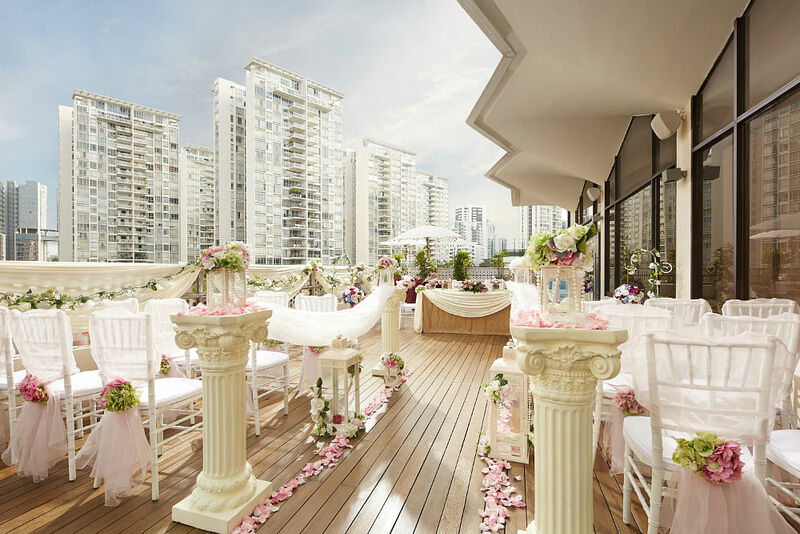 Here, you’ll get to meet with Capella Singapore’s expert team of wedding planners, who will take you on a comprehensive tour around the resort. 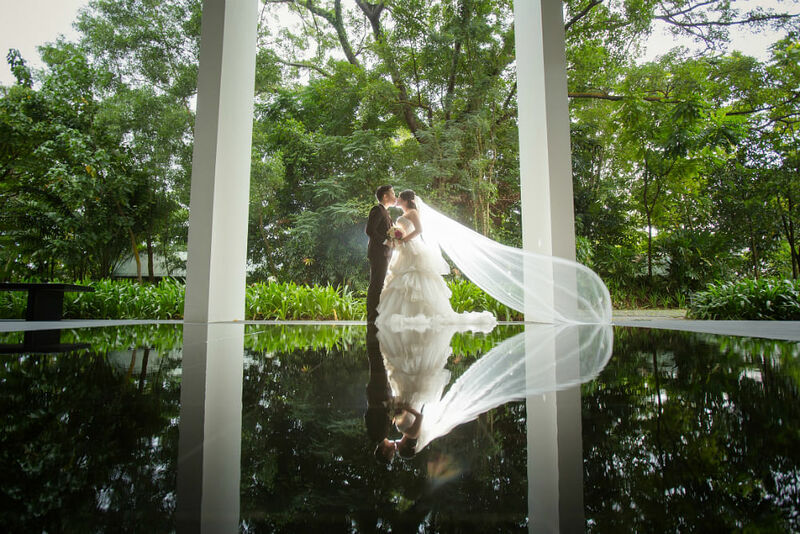 To celebrate the hotel's 10th anniversary, the wedding show will be including inspiration and ideas from real couples who've walked down the aisle at Capella Singapore. Should you confirm your package at the show, enjoy exclusive perks including a complimentary table of 10, a Thank You Champagne Brunch for six, and more! Confirmed couples who sign up during the wedding showcase will stand a chance to win a 3D2N stay at their sister property - Capella Ubud in Bali. Experience a complimentary makeover and mock solemnisation! For those who signed up to attend the showcase, you might also be the one to walk away with a complimentary makeover and mock solemnisation experience. The selected couple will be able to invite up to 10 family members and friends to witness this moment together, along with the rest of the wedding show attendees. The experience comes complete with a set of wedding gown and suit for the day, and a team of make-up artist, videographer and photographer at their service! 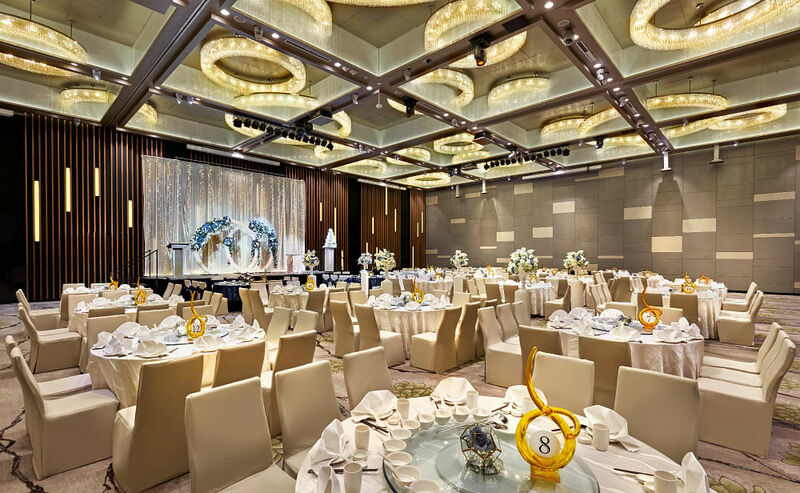 From the airy and natural lit pillar-less Sky Ballroom, to the breathing and high-ceiling Grand Ballroom, PARKROYAL on Beach Road can very likely be the venue for your dream wedding. Swing by during their wedding show, The Beginning of Forever - on April 7 and check out their enchanting wedding themes. 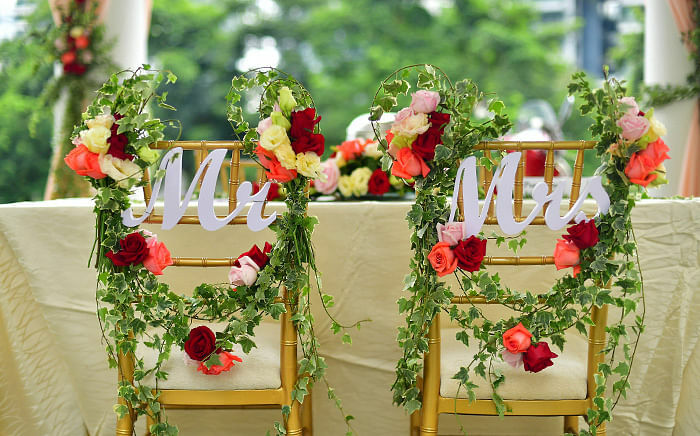 Their team of professional wedding planners will also take you through your special day! What’s more? Enjoy exclusive perks for confirmed bookings made during the wedding show and additional 5% savings for weddings held in 2019! Say “I Do” in a stylish poolside wedding at the modernistic and upscale Park Hotel Alexandra. 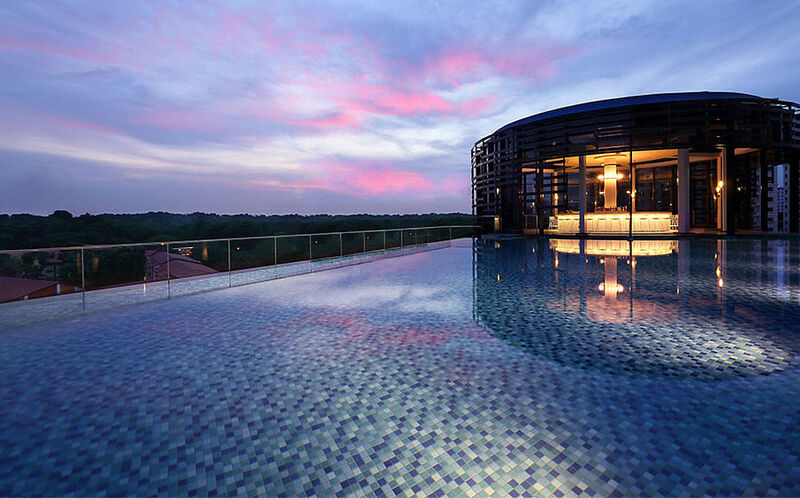 The infinity pool and its picturesque backdrop of blue skies and luscious greenery are gorgeous! Come sunset, it is amazing. 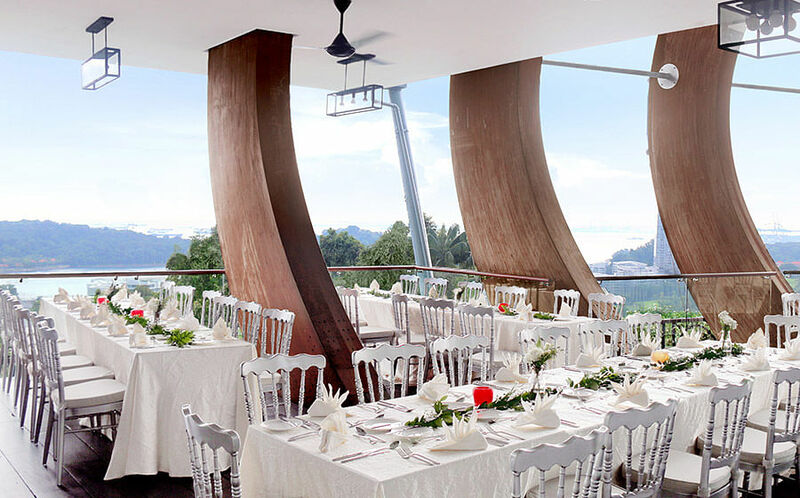 Afterwards, you can continue your celebration with family and friends at the Botanique Room, which can accommodate up to 100 guests, and has glass walls, treetop views, as well as abundant natural light or The Carvery which serves a modern European feast meat aficionados will thank you for. Book your wedding during the Solemnisation Showcase to enjoy great offers and additional perks from the hotel’s secret wish list. At this award-winning colonial venue that's surrounded by heritage and nature, any wedding here will be an enchanting experience as you say yes to forever. 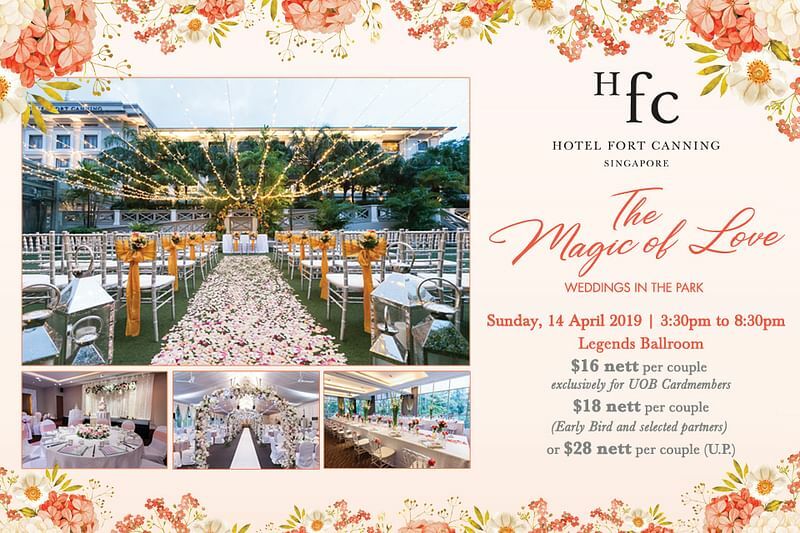 On 14 April, you can view its elegant indoor and outdoor venues in person during the hotel's wedding showcase, The Magic of Love. From an extensive buffet tasting of our cuisine to an exclusive selection of perks available only on this special day, their Wedding Specialists are ready to help you orchestrate your extraordinary event. 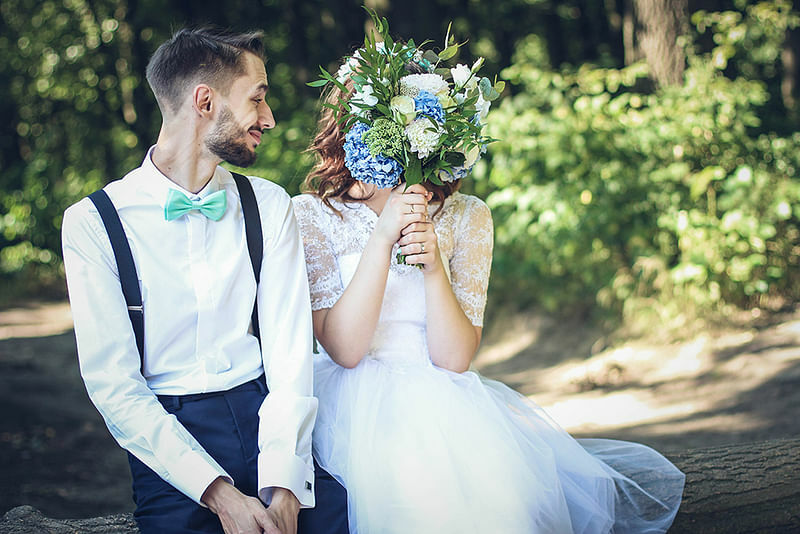 Save the date for Millennium Hotels and Resorts’ wedding showcase on 21 April 2019, where you will get to explore packages and venues from a total of four hotels under the group. 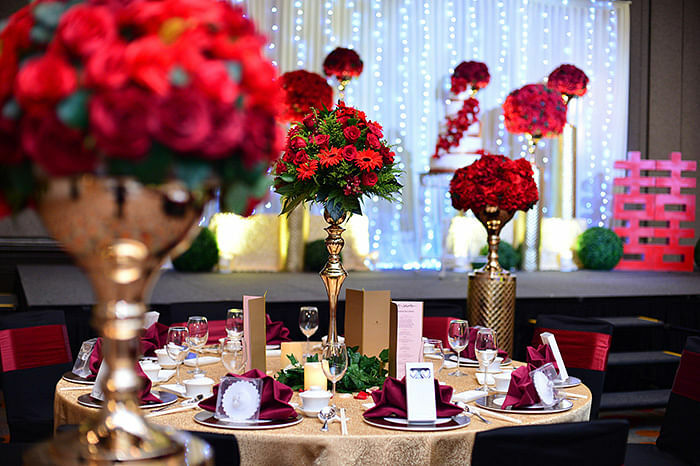 Held at each of the hotels – Orchard Hotel, Grand Copthorne Waterfront Hotel, M Hotel, and Copthorne King’s Hotel – you get to preview exclusive package offers and view resplendent wedding themes and decor to make your dream wedding a reality. Plus, you also get to sample signature culinary creations from their wedding menu. Even better? A complimentary shuttle service is available to ferry you between venues! What’s more, if you successfully obtain all four stamps from the hotels on your wedding passport, you will receive a $118 dining voucher to be used at any of the hotels! If you haven’t already confirmed the other aspects of your wedding, this show’s got you covered too, with over 20 bridal partners including wedding dresses from Love Story and Yvonne Creative, photography from Live! Studio and Lightbox Weddings, wedding favours from Celia G, Houghton & Gough Lifestyles and a live band, Chanel & Mingwei. Couples who confirm their wedding package at the show will also stand a chance to win its Grand Lucky Draw – hotel stays in Auckland, Dubai (with a S$500 travel voucher) and London (with a S$1500 travel voucher); best of all – a stay at the Millennium Broadway New York Times Square with a travel voucher worth $2,000! There will also be exclusive offers for HSBC Credit Cardholders who make on-day confirmed bookings. 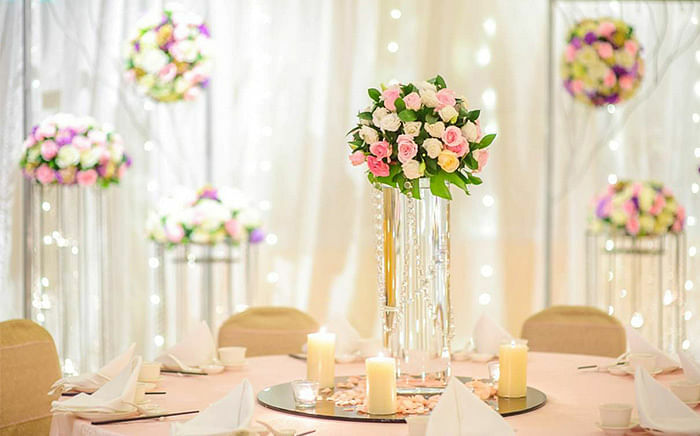 On 27 April, you can look forward to Village Hotel Katong’s wedding open house. Preview the hotel’s wedding venue settings, enjoy a food tasting session and stand to win instant lucky dips and discount vouchers, plus, the grand draw where you may just walk away with a pre-wedding photography shoot with Love Story Bridal Boutique and much more. 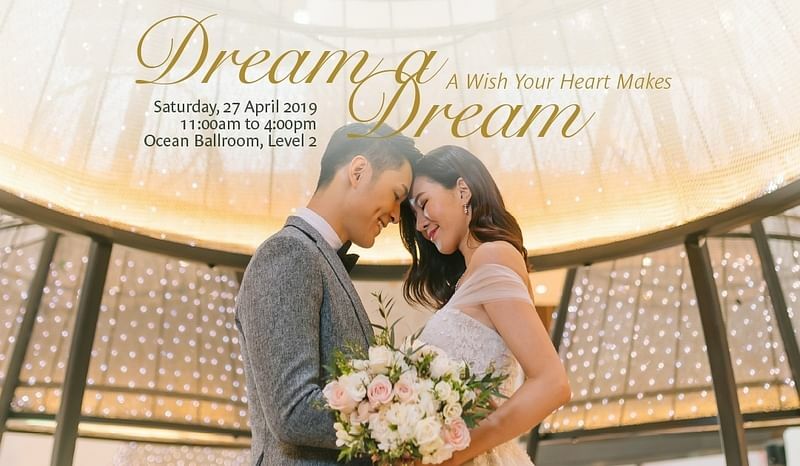 An afternoon of elegance and sophistication awaits you at Pan Pacific Singapore’s Dream a Dream Wedding Showcase. Be captivated by their latest trilogy of wedding themes that will make your celebration a stunning one. Other highlights include TWC Weddings’s showcase of their latest bridal gown collection, a culinary spread of their wedding menus and, couples who confirm their packages on that day will enjoy exclusive perks and privileges.